I originally was using some animal print paper, but then I needed to add some bling. 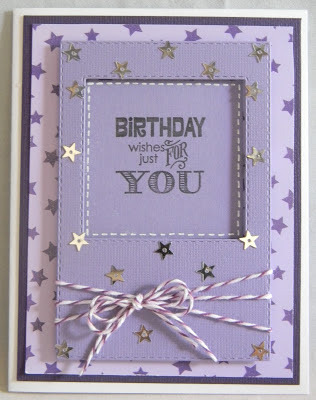 I really wanted to use these stars that I picked up at Hobby Lobby, so I was going through my paper stash and found this purple star paper--perfect! I wished I used the It's all about you stamp after that, but this does work too. I don't know if you can tell, but I pop dotted the frame up since I just used the same paper on the stamped part and frame. My daughter said it was very purple, but I really like this one! I think her BFF will too :) Have a great weekend if I don't post before then!! All of the purples go together so well. The stitching and stars are great. Super job! Love all of the stars, Helen. Such a fun and festive card. Love the colors, simplicity and clean lines! This is gorgeous, Helen! I love the colors and all of the stars! So pretty! 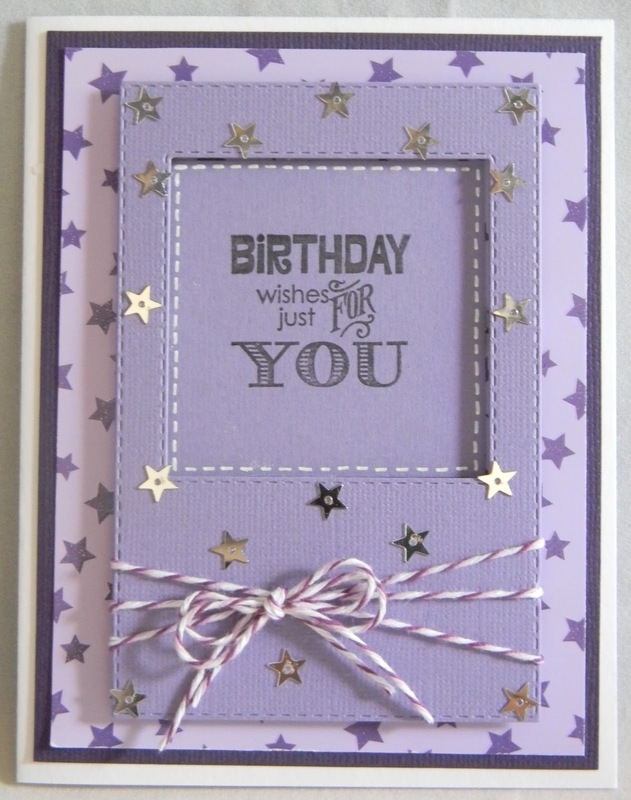 Thanks for playing along with the My Creative Time Designer Challenge! Sequins sure are HOT right now, aren't they? I love the way you use them here - small accents :o) I really like your monochromatic color scheme, too. Great job!